Remembering Willard R. Bass | Remembering Willard R. Bass | De Soto Obituary Search | Dietrich-Mothershead Funeral Home, Inc. Remembering Willard R. Bass | De Soto Obituary Search | Dietrich-Mothershead Funeral Home, Inc.
Willard Roosevelt Bass was born on September 28, 1938 in Bono, AR. He was the son of Jess and Alma M. (nee Finley) Bass. He died on October 23, 2017 at the Villa’s at the age of 79. 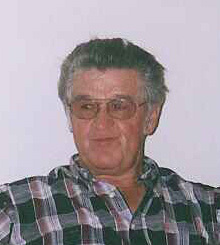 ON July 2, 1994 he married Judith Ann “Judy” (nee Guess) Bass of De Soto; he is survived by his children: Tim Bass, De Soto; and Willard Roy Bass, De Soto; two step sons: Bryan Harrison, De Soto and James Harrison, Hillsboro; three grandchildren: Zachary Ryan Harrison, Cody Wade Harrison, and Carter Fry Harrison. 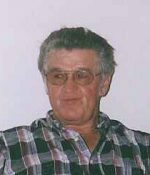 He was preceded in death by his parents; one sister: Darlene Paschel and three brothers: Jerry, David, and Michael Bass. Willard was retired from the Ford Motor Assembly Plant in Hazelwood in 1997; member of U.A.W. He served in the Unites States Marine Corps from March 28, 1956 til November 11, 1959. He enjoyed gardening, wood working, hunting and fishing, and playing checkers. As an expression of sympathy memorial donations may be made to the American Cancer Society.